It was ranked among top three government schools in India within two years and is now a model project for building schools across the nation. Faizal & Shabana Foundation: A Venture Philanthropic Approach to Education by Dr Sreevas Sahasranamam, a Chancellor's Fellow at the Hunter Centre for Entrepreneurship, University of Strathclyde, Glasgow UK, will also be part of the university's syllabus on corporate entrepreneurship. The term venture philanthropy was coined by John D. Rockefeller III in 1969, who described it as "an adventurous approach to funding unpopular social causes." The case study covers the refurbishment of the century-old Nadakkavu school through large philanthropic investments by the F&S Foundation where it talks about how the same has become a unique case for venture philanthropy that has been successfully implemented within a government educational context. The study highlights how a private philanthropic organisation went about executing a school project in spite of several challenges it faced in scaling up the redevelopment model to other government schools. The foundation in collaboration with the Government of Kerala developed the PRISM program (Promoting Regional Schools to International Standards through Multiple Interventions) to improve the standards of government schools through planned interventions. The renovation of Nadakkavu school was its flagship program. 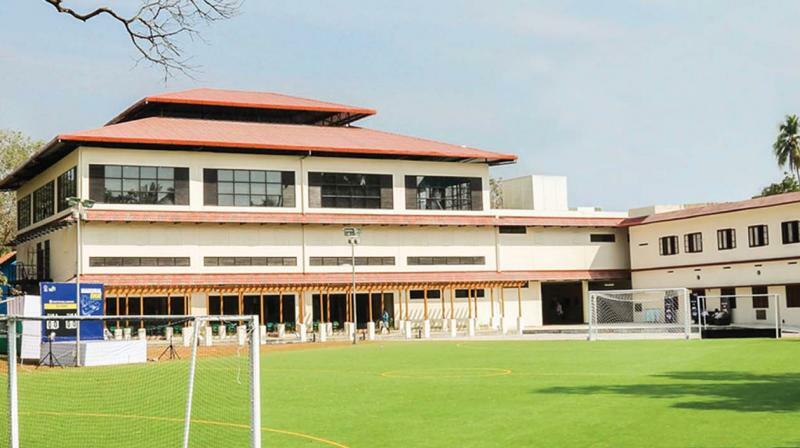 The makeover included a complete transformation with new classrooms, toilets, a multipurpose hall, interactive science centre, astroturf sports field, industrial size kitchen and library. The infrastructure overhaul was completed in nine months, while the students were away on their summer vacation, using offsite manufacturing technology.